“The old physical science for both, the Greeks and the Barbarians is natural logos (logos in antiquity meant fact) hidden deeply within myths”. Much earlier than Plutarchus, Plato, in the 4th century B.C., defined Science in Phaedrus (277.b.5-277.c.3) and mythology in Timaeus and Critias (110.a.2-110.a.4). Plato himself knew the difference between genuine and fabricated myth. He wrote it in Timaeus and Critias (26.e.4-26.e.5) and in Republic (Resp.377.b.6-377.b.6) respectively. Plato in the Republic (Resp., 379.a.1) says that “it is appropriate for the founders to know the patterns on which the poets must base their stories and from which they must not deviate”. This phrase means that in antiquity some of the poets were deviating, from time to time, from the recorded tradition which passed orally to them, and they had to be told. One of us, Papamarinopoulos (2008) and two other authors Baikouzis & Magnasco (2008) independently to each other, had proposed the 16th of April of 1178 yr B.C. (JD 1291264) as the day Odysseus returned to Ithaca. All the three, mentioned above, have interpreted Homer’s passage Od.20.356-357: and the sun has perished out of heaven and an evil mist covers all, as a spring`s total eclipse event. They based their interpretation on NASA/Espenak and other studies respectively. However, all the three, authors had ignored other significant diagnostic information mentioned by Homer. Before we focus in the Odyssey`s passages we studied initially what the ancient Greek authors, archeologists and historians had said about the dating of the Trojan War’s end because we intended to connect it with Odysseus` return since Homer says that Odysseus returned 10 years after the Trojan War’s end (e.g. Od.5.106-108, Od.2.174-176). Table 1 and Table 2 tabulate main opinions respectively. We even took into consideration the ancient Greek textual and pictorial mythological sources which mentioned two successive Trojan Wars conducted by Achaeans against Troy (Kakridis 1986). The second, from the Trojan Wars, was the legendary War mentioned by Homer in which Ajax and his companions fought. The first was realized, a generation earlier from the second, in which Ajax’s father participated. The heroes of the two wars are presented in the temple of the Athena’s Aphaea temple in Aegina Island. We note that Hiller (see Table 2) proposed two Trojan Wars coinciding with the Greek’s mythological tradition. Although Homer is not a historian, like Thucydides for instance, we took the liberty to examine specific Homeric passages in order to extract possible testable information in connection with Odysseus’ return in Ithaca. Homer describes a palace scene, during noon in which δείπνον, dinner is offered. In that the suitors, disguised Odysseus, his son Telemachus, and Theoclymenus are all together. Then, Theoclymenus predicts the suitors’ death and the sun’s eclipse saying, for the latter, the following: the sun has perished out of heaven and an evil mist hovers over all, (Od.20.356-357). As the suitors heard what Theoclymenus said, they called him mad, because there was still some day light which they could see it themselves (Od.20.360-362). The suitors mocked the seer because they were incapacitated by drunkenness and confusion because they did not realize the eclipses’ beginning. Dorpfeld W. (Zengel 1990) Troy VI ca 1250 but after Kadesh’s battle. Homer, further, describes a next palace scene. The suitors have eaten already their dinner, the hours passed, and they were in late noon time before the supper δόρπον was offered (Od.21, 269-427). We notice that the suitors have not started this supper, because Homer says very clearly, in the following passage, that the supper is not ready. It is under preparation (Od.21.428-429): But now is time that supper to be made ready for the Achaeans, while yet there is light, after thatmust other entertainment be made with song and with the lyre. At that moment Odysseus takes the bow and shots an arrow to a specific target. Then, the killing of the suitors, starts exactly as in the previous passage is indicated (Od.20.390-394): For they had made their dinner in the heart, for they had slain many beasts. But no supper could be more graceless than the one a goddess and strong man were soon to set before them. It is defined in Od.21.428-429 with the words εν φάει which means day light. It is also defined hat supper is prepared. The latter is understood from the word τετυκέσθαι which means to be prepared. Then the suitors’ killing occurs at late noon and before evening, exactly after Odysseus’ first successful shot (Od.21.409). c) Animals: (Od.14.410-414)-…..and the swine and the swineherds drew near…to sleep in their accustomed sties…(Od.17.170-171)-…the flocks came …from the fields…(Od.15.397)-…and follow our masters swine. d) Long lasting nights: (Od.15.391-394)- they are αθέσφατοι. The latter greek word means long lasting. All the above mentioned nformation leads to an autumn period except those in connection with the luxuriant trees and the flocks which are outside from the sties. They latter fit both with spring and autumn too. It is noticeable in the following passages, (Od.22.301)-…along in the season of spring, when the long days come and in Od.18.366-367-…in working in the season of spring, when the long days come…in relation with Od.15.391-394 – these nights are longer…(αθέσφατοι) that Homer defines the long days of spring very clearly. Moreover in Od.18.366-367, Homer explains why Odysseus, would prefer to fight with Eurymachus in the spring, because then he says the days are long, whereas at that situation, the fight with Eurymachus, the nights are long (Od.15.391-394) and consequently the days are short because t is autumn. Additionally, in Od.11.187-194 is mentioned that Odysseus’ father, Laertis, stays in his vineyard in the summer and in the autumn. In Od.24, Odysseus meets Laertis in that vineyard only in the autumn in accordance with Homer’s astronomical references, (see below). From the 64 solar eclipses (Total or Annular or Hybrid or Partial) observed in Greece, in the Ionian Islands, within this period of 230 years, only 14 were visible within September, October and ovember. Homer in Od.14.161-162 and Od.19.306-307 specifically says that Odysseus will come in this very month here and further explains between the waning of this moon and the waxing of the next. Homer uses the word Λυκάβας. It is interpreted as the time period between old and new moon (Russo et al. 2002) and is derived from the proto-hellenic words Lyka+vanta (the light is gone). Homer also declares in Od.14.457-now the night came on, full and without a moon. The above mentioned information (new moon) is a necessary condition during the course of a solar eclipse. However, Homer sets two more additional astronomical conditions connecting Odysseus’ return to Ithaca. The first is planet Venus, to be visible in the east, five days, before the eclipse, (Od.13.93-95). he second is, that the Pleiades (open cluster belonging to the Taurus’ constellation), Boötes, Ursa Major and Orion were visible, all nights during his trip (Od.5.270-277). The latter requires the simultaneous Pleiades’ and Boötes’ presence in the night sky which occurs only in two periods during autumn and spring. However, the spring’s case is invalidated in accordance with our arguments clearly mentioned above. It is known that Venus is visible either in the east or in the west. In order to demonstrate if Venus is really in the east five days before the solar eclipse’s day we used he Starry Night 6 Pro Plus. The latter offers the position of the eight major planets within 5 arcseconds accuracy for a 3000 time span to the present. Similarly the moon`s position is accurate within 10 arcseconds for several thousand years in either direction. We used Ithaca’s coordinates (38° 22′ 0″ N, 20° 43′ 0″ E) as representative for all Ionian Islands. From this mentioned study, 5 from the 14 solar eclipses (Total or Annular or Hybrid or Partial) remain (Table 3) available for further analysis, because they satisfy the first Homeric condition. However, three of them (1298, 1252 and 1234 in years B.C.) are not practically visible. From the remaining two, the first which has occurred in 1143 yr B.C. is rejected since the Achaean’s Palaces economic and organization system has been already collapsed. The last remaining one, however, seems to satisfy both Homeric conditions and the Table’s 1 and 2 presented data. This is the annular solar eclipse of the 30th of October of 1207 yr B.C. (JD 280869). It was visible in the Ionian Islands with 75% significant obscuration of the solar disc. By setting p=0.75 in the equation 1 the Sun’s illuminance becomes 25% of its total value. The latter means significant reduction of illuminance which is absolutely compatible with Homer’s phrase 20.357) κακή αχλύς means evil mist. The phenomenon started in local time (LT) 14.30 (12.30 UT) and ended in 17.25 LT (15.25 UT) in the Ionian Islands. The maximum, ¾ obscuration of the Sun, was observed in 16.00 LT (14.00 UT) in late noon and before supper`s preparation. In addition, the Delta-T (ΔΤ) value of this eclipse is ΔT = 29136 sec (8.09 hours), with uncertainty of ±1077 sec (17.95 min) on the determined time and uncertainty of ±4.5° on the longitude of the determined path. It is calculated by taking into account the variation of the Earth’s rotation (Espenak & Meeus 2006 & 2009c), based on the work by Morrison & Stephenson (2004). We note that Stephenson (1997) and his colleagues (Stephenson & Houlden 1986) were pioneers in that kind of calculations. The eclipse’s maximum time coincides with the suitor’s killing and it is ended just before the sunset because immediately after the killing, the servants came with torches and shed light (Od.22.497 and Od.23.290-293). In accordance to Starry Night calculations, Homer’s description in the above mentioned passages fit with the sunset at 17.58 LT (15.58 UT) on the 30th of October 1207 yr B.C. (JD 1280869). **Rise time ﬁve days before the solar eclipse. Figures 1A and 1B illustrate the sky above the horizon in the Ionian Islands at 16.00 LT (14.00 UT) on the 30th of October (JD 1280869) and at 06.05 LT (04.05 UT) on 25th of October of 1207 yr B.C. (JD 1280864) respectively using Starry night 6 Pro Plus. In Figure 1A, the solar eclipse is observed at 20ο altitude within the south-west horizon in Scorpius constellation, near to Antares (Anti-Ares) which exhibits a red like blood color similar with that of red Ares (Mars). It is one of the brightness stars of the sky. All the known planets in prehistoric Aegean Sea, except Saturn, are projected within 75ο angular distance, near to the solar eclipse. We note that the value of ΔT, which this program uses, is 29300 sec (8.14 hours). There is a slight difference of 164 sec (2.73min) between this value and the one calculated by Espenak & Meeus (2006 & 2009c). This slight difference does not have any significant effect in our results and the representation of the sky in our figures. According to the Homeric text (Od.13.93-95) Odysseus arrived in Ithaca early in the morning five days before the suitors’ killing (Figure 1B). At that moment planet Venus observed in the eastern horizon within the Libra constellation (as Starry Night 6 Pro Plus shows). Both Venus and Sun rose at 05.13 and 06.50 LT (4.50 UT) respectively. Venus with exceptional clarity (magnitude = -3.94) was for 1.5 hours before sunrise at an altitude of 18ο above the horizon. Saturn, which was known in the Aegean prehistoric period, is projected near to the Cancer constellation. The great planets Jupiter and Saturn projected in the Capricorn and the Cancer constellations, in other words, in the constellations of the winter and summer solstices respectively. Figure 2 is representative of the autumn’s night sky everywherewithin Mediterranean’s latitudes. We offer, to the reader, two examples. Odysseus is already, en route, travelling west to east having to is left always Ursa Major. The mariner observes the latter and Pleiades and Boötes all night (between 19.30 and 05.30 LT or between 15.30 and 3.30 UT). Homer in Od.5.272-274 says: as he watched the Pleiades, and late-setting Boötes, and the bear, which men also call the Wain, which ever circles where it is and watches Orion” The Greek word δοκεύει is semantically stronger, than the English one watches. The Greek word contains the elements of anxiety and persistence of the animal which is waiting its hunter, Orion, to come. And indeed this happens. Orion appears at 22.30 LT (20.30 UT) two hours later after the previously mentioned constellations (see Fig. 2). Pleiades are moving from east to west all night while Boötes is in the north-west sky in its course to set. Homer uses the phrase οψέ δύοντα Βοώτην. It means literally that Boötes is tempting to set slowly but in reality it doesn’t completely. In Fig. 3, different Boötes’ positions, during all night, are presented. Boötes’ two stars, β Bοötis (Nekkar) and γ Bοötis (Seginus) do not set at all! As Boötes approaches slowly its set, these two stars, remain above the horizon steadily. Then sequentially Boötes starts to rise again remaining all visible above the horizon in the north-east sky all night up to the sunrise. Boötes dives in a setting mode initially in the north-west direction and then continues emerging up moving in a north-east direction. Figure 1. (A) The sky above the horizon in the Ionian Islands (38° 22′ 0″ N, 20° 43′ 0″ E) at the maximum phase (75%) of the solar eclipse (16.00 LT or 14.00 UT) on 30th of October of 1207 yr B.C. (JD 1280869) and (B) five days before this solar eclipse on 25th of October (JD 1280864) (6.05 LT or 4.05 UT) are shown. Planet Venus is observed eastward. Figure 2. (A) the sky above the horizon at Gibraltar’s Straits (36° 8′ 0″ N, 5° 21′ 0″ E) (20.00 LT or 18.00 UT) on 1st of October (JD 1280840) and (B) at Palermo (38° 7′ 0″ N, 13° 22′ 0″ E) (3.00 LT or 1.00 UT) on 19th of October of 1207 yr B.C. (JD 1280858) are shown respectively. The constellations, Ursa Major, Taurus (open cluster of Pleiades), Boötes and Orion guided Odysseus during his voyage from west to east. They are observed all night in the latitudinal width of the Mediterranean Sea internally and externally of it. Pleiades move east-west and Boötes north-west to north-east. Orion raises later than the others constellations. In connection with Odysseus’ return to Ithaca, there are three scientific attempts for its astronomical dating, which are the following: Schoch (1926), Papamarinopoulos (2008) and Baikouzis & Magnasco (2008). These authors propose the total solar eclipse of the 16thApril 1178 yr B.C. (JD 1291264) as the Homeric one without taking into account of the Epic’s significant details in connection with the climate, the environment, the plants, the animals and the peoples’ habits, which were presented in our text above and strongly prove the autumn as the season of the Odysseus’s return to Ithaca. Also, Baikouzis & Magnasco (2008) suggest the 1st of April of 1178 yr B.C. (JD 1291249) as the vernal equinox then; but it is well known that after the vernal equinox the night gets shorter. The Homeric passage mentions the nights are, αθέσφατοι, in other words long lasting. Their conclusion is incompatible both with the Homeric text and with the astronomical references. On the 14th of April 1178 yr B.C. (JD 1291262) the night’s duration was about 11 hours (sunset 19.00 LT or 17.00 UT and sunrise 06.14 LT or 4.14 UT). On the 30th of October of 1207 B.C. (JD 1280869) the night’s duration was about 13 hours (sunset 17.58 LT or 15.58 UT and sunrise 06.57 LT or 4.57 UT). Our suggested date is absolutely compatible both with the Homeric text and the astronomical knowledge for autumnal equinox which was on 4th October of 1207 yr B.C. (JD 1280843). Also, Baikouzis & Magnasco (2008) write that ‘close to noon ….the total eclipse of the sun occurred at 12.02 p.m local time’. This is fully incompatible with the timing of the suitors’ killing. Theoclymenus made his statement about the suitors’ killing and the solar eclipse, during dinner (δείπνου is genitive in Greek) at noon, and then the suitors’ killing started, at late noon during supper’s (δόρπου is genitive in Greek) preparations, in accordance with the Homeric text. The suggested, by us, solar eclipse of 30th of October of 1207 B.C. observed at late noon, 16.00 LT (14.00 UT). Both Homeric astronomical conditions (Venus and constellations) exist in both proposed scenaria. Homer describes four constellations as orientation guides during Odysseus’ return trip. However, in Baikouzis & Magnasco (2008) denote exactly the following: on 4th of April of 1178 yr B.C. (JD 1291252) was the heliacal setting of the Pleiades, the last night they were visible before hiding for 40 days and hence Odysseus could not have followed Calypso’s directives… This means that, a day, before Odysseus’ raft was sank in accordance to their calculations, Pleiades were not observable in the night sky. This is correct astronomically but it contradicts with the Homeric text. Furthermore, they mentioned all three constellations Ursa Major, Boötes and Pleiades (Taurus), but they missed Orion. But Homer specifically describes that Ursa Major watches Orion. In other words Ursa Major is waiting Orion’s coming. Indeed, Orion in the autumn is observed eastwards in the night sky about two hours later after the Pleiades’ rise. However, in the early spring, Pleiades are observed westwards and both Orion and Pleiades are simultaneously visible in the night sky only for a few hours. The co-existence of Boötes and Pleiades, in the night sky, occurs during the spring and autumn. Boötes, in the autumn, is in the westward while in the spring is in the eastward horizon respectively. Baikouzis & Magnasco (2008) mentioned the Homeric phrase οψέ δύοντα and interpret it as follows: ‘around March as the sun approaches these (Pleiades) set early while Boötes sets late; in September, it is Boötes that sets early while Pleiades set late’. In our text, earlier, we offered to the reader both the correct philological interpretation and the correct astronomical explanation of it as Fig.3 shows clearly. Boötes’ unique westward motion is observed only in the autumn’s night sky, because then Boötes attempts to set, but it cannot set entirely moving always all night from north-west to north-east. In the spring, Boötes certainly does exactly the same motion westwards, but in the day light and consequently cannot be observed. shipwreck. It is understandable that angry Poseidon, the god of the sea, is related with the shipwreck. However, if we wish to associate an astronomical phenomenon with this shipwreck, the partial (50%) lunar eclipse of 15th of October 1207 yr B.C. (JD 1280854) observed westwards in Ionian Islands at 5.30 LT (3.30 UT) (Espenak & Meeus 2009a & 2009b) and everywhere within the Mediterranean’s latitudinal width, is the best idea. It is well known that this phenomenon assumed as a bad omen within the prehistoric and historic ancient world, see Arrian (Anabasis Alexandri3, 7, 6, 1-4), as an example. In accordance with our hypothesis, we conclude that the annular solar eclipse of 30th of October of 1207 B.C. (JD 1280869) observed in the Ionian Islands with a significant obscuration 75% is the described phenomenon by Homer (Od.20. 356-357) related with the Odysseus’s return to Ithaca because it fits with all seasonal, environmental and other astronomical data of the epic. Taking into account this dating, and Homer’s passages (e.g. Od5.106-108), the legendary Trojan War’s end can be dated as well. We offer our proposal to the International Scientific Community. It might be useful for further future Homeric and Eastern Mediterranean archeological and archaeometric studies. Figure 3. The sky above the horizon at Palermo (38° 7′ 0″ N, 13° 22′ 0″ E) on the 10th of October of 1207 yr B.C. (JD 1280849) (A) at 19.00 LT (17.00 UT), (B) at 21.00 LT (19.00 UT), (C) at 23.00 LT (21.00 UT) and on the 11th of October of 1207 yr B.C. (JD 1280850) (D) at 1.00 LT (10th October 23.00 UT), (E) at 3.00 LT (1.00 UT), (F) at 5.00 LT (3.00 UT), is shown respectively. ‘Late-setting Boötes’ is going toward its setting, but the two stars, β Bοötis (Nekkar) and γ Bοötis (Seginus), do not set at all! Boötes starts to rise again remaining all visible above the horizon all night. To Professor William Mullen for his suggestion, to us, to study the seasonal details in the Epic. To Emeritus Professor George Korres for his useful input. To postgraduate student Athanasios Kouloumvakos for his assistance during the course of our work. This paper is devoted to the former Rector of the University of Patras Professor Kostas Goudas. Arrian (1967), Anabasis Alexandri, 3, 7, 6, 1-4, Roos A.G. and Wirth G. (Eds. ), Teubner, Leipzig. Baikouzis C., Magnasco M. O. (2008), Is an eclipse described in the Odyssey? Proc. Natl. Acad. Sci. U.S.A. 105 (26), 8823-8828. Censorinus (1810), De die nat. c. 21, Oxford. Clemens of Alexandria (1960), Stromateis (Clementis Stromata), Stählin O., Früchtel L. and Treu U. (Eds. ), Akademie-Verlag, Berlin. Desborough V. R. d’ A. (1966), The Last Mycenaeans and Their Successors, An Archaeological Survey c. 1200 – c. 1000 B.C., Clarendon Press, Oxford. Dicaearchus, Fragment 58 a 4-5, Scholia vetera in Apollonii Rhodii Argonautica, 278, 11-12. Espenak F., Meeus J. (2006), Five Millennium Canon of Solar Eclipses: -1999 to +3000, NASA Technical Publication TP-2006-214141. Espenak F., Meeus J. (2009a), Five Millennium Canon of Lunar Eclipses: -1999 to +3000, NASA Technical Publication TP-2009-214172. Espenak F., Meeus J. (2009b), Five Millennium Catalog of Lunar Eclipses: -1999 to +3000, NASA Technical Publication TP-2009-214173. Espenak F., Meeus J. (2009c), Five Millennium Catalog of Solar Eclipses: -1999 to +3000, NASA Technical Publication TP-2009-214174. Finley M. I., Caskey J. L., Kirk G. S., Page D.L. (1964), The Trojan War, Journal of Hellenic Studies, 84, 1 – 20. Héraclite (1962). Allégories d’Homère, (75, 1, 1-9, 3), Les Belles Lettres, Paris. Herodotus (1968), Histoires, 2, 145, 16-17, Les Belles Lettres, Paris. Hiller S. (1991), Two Trojan Wars? On the Destructions of Troy VI h and Troy VII a, Studia Troica 1, 145 – 149. Homer (1919), Odyssey, Loeb Classical Library, Harvard University Press. Homer (1924), Iliad, Loeb Classical Library, Harvard University Press. Hood S. (1998), The Bronze Age Context of Homer, in The Ages of Homer, A Tribute to Emily Townsend Vermeule, E J. B. Carter, S. P. Morris (Eds. ), University of Texas, Austin, 25- 32. Kakridis I. Th. (1986), Greek Mythology 4, Ekdotiki Athenon, Athens (in Greek). Korfmann M. (2004a), Was There A Trojan War?, Archaeology, 57(3), 36 – 41. Korfmann M. (2004b), Die Arbeiten in Troia/Wilusa 2003 – Work at Troia/Wilusa, Studia Troica 14, 3–31. Kraft J. C., Rapp G., Kayan I., Luce J.V. (2003), Harbor areas at ancient Troy: Sedimentology and geomorphology complement Homer’s Iliad, Geology, vol 31, No 2, 163-166Möllmann K.-P., Vollmer M. (2006), Measurements and predictions of the illuminance during a solar eclipse, Eur. J. Phys., 27, 1299-1314. Morrison, L. V., Stephenson, F. R. (2004). Historical values of the Earth’s clock error Delta T and the calculation of eclipses. Journal for the History of Astronomy, Vol 35(3), No. 120, 327-336. Mountzoy P.A. (1999a), The Destruction of Troia VIh, Studia Troica, 9, 253 – 294. Mountzoy P.A. (1999b), Troia VII Reconsidered, Studia Troica, 9, 295 – 346. Mylonas G. E. (1964), Priam’s Troy and the Date of its Fall, Hesperia, XXXIII, 352 – 380. Nylander C. (1963), The Fall of Troy, Antiquity, XXXVII, 6 – 11. Papamarinopoulos St. P. (2008), A comet during the Trojan War? In Science and Technology in Homeric Epics, Paipetis S. A. (Ed. ), Springer Science, 341-356. Parion Chronicle (2001), paragraph 24, Ashmolean Museum of Art and Archaeology, Oxford. Ploutarchus (1967), Fragmenta 157, Plutarchi Morali, Sandbach F.H., vol. 7, Teubner, Leipzig. Russo J., Fernandez-Galiano M., Heubeck A. (2002), A Commentary on Homer’s Odyssey, Clarendon Paperbacks, Oxford. Schoch C. (1926), The eclipse of Odysseus, The Observatory, vol. 49, 19-21. Stephenson F.R. (1997), Historical Eclipses and Earth’s Rotation, Cambridge University Press, Cambridge. Stephenson F.R., Houlden M. A. (1986), Atlas of historical eclipse maps: East Asia 1500 BC – AD 1900, Cambridge University Press, Cambridge. Theodosiou E., Manimanis V. N., Mantarakis P., Dimitrĳevic M.S. 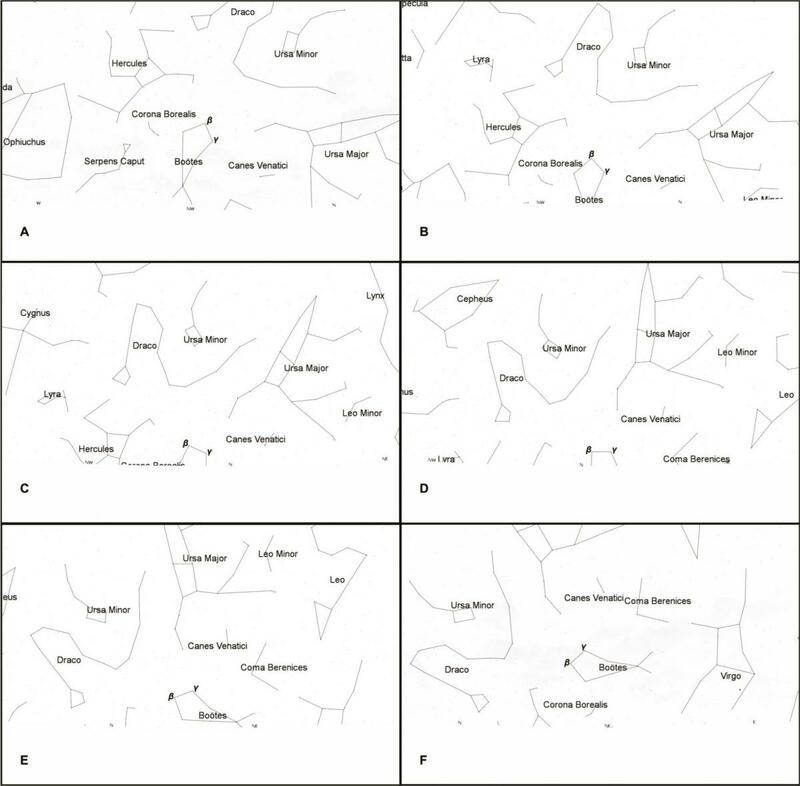 (2011), Astronomy and Constellations in the Iliad and Odyssey, Journal of Astronomical History and Heritage, 14(1). Zengel E. (1990), Troy, in Troy, Mycenae, Tiryns, Orchomenos. Heinrich Schliemann the 100th Anniversary years from his Death. Demakopoulou K. (Ed.) (Exhibition of the Athens Archaeological Museum in cooperation with the Berlin Alters Museum), 51-79.